The survey included 2 main questions. The first question we asked was “What’s your #1 question about online marketing?” which I already answered here. The second question was “Which of the following would you be most interested in?” and you can see the results in the graph below. In case you can’t read that graph, the options were website hosting, website development, mobile-friendly website development, email marketing setup & management, Google Analytics setup & reporting, weekly phone consulting, online marketing plan creation, social media marketing management, Facebook advertising, and online reputation management. You asked, we listened, we got busy, and now your wish has been granted! Last Friday we hosted our monthly live training and can you guess what the topic was? Yup, it was all about how to create your online marketing plan. You can use that link to get a copy of the training if you missed it. Plus, we’re offering a new online marketing service this week. Hmmmmmm… What in the world might that service be? If you subscribe to our email newsletter, then just reply to today’s email to get all the details. Both the training and the new service are based on the 4 pillars of online marketing, which I’ll quickly cover to give you a taste of our online marketing principles. Everyone wants more website traffic right? Without traffic, there are no sales. 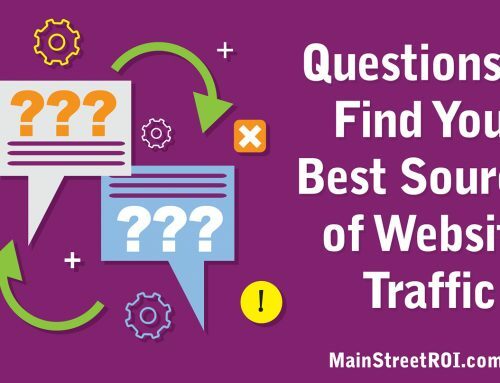 But traffic is really only one of the four critical pillars despite the fact that most businesses spend the majority of their marketing budgets on traffic. The second pillar is your website conversion rate. Your conversion rate is the number of sales per total number of website visitors. If you generate 1 new customer out of 100 website visitors, then your conversion rate is 1%. To take this a step further, your conversion rate can and should be broken down by all of your different sources of traffic. For example, your SEO conversion rate, AdWords search advertising conversion rate, and your Facebook referral traffic conversion rate are all going to be different and may need to be improved separately. Conversion is often the overlooked pillar in favor of traffic. 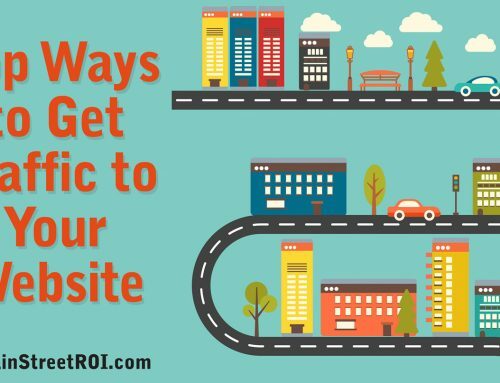 But consider this – if you can double your conversion rate, then you can double your sales with absolutely no more investment in generating website traffic! For most businesses, customer value is NOT a fixed variable. There are plenty of opportunities to increase the lifetime value of your customers using referral marketing programs, up-sells and cross-sells, and continuity/subscription programs. Again, if you can increase your customer value, then you immediately increase your return on investment (ROI) from all of your online marketing campaigns. The final pillar is tracking. Without proper tracking there is no way to know which campaigns are profitable, which are not profitable, and which could be profitable with a few minor tweaks. As you’re putting the final touches on your 2014 online marketing plan, make sure you’ve addressed ALL 4 pillars. If you have any questions about your plan or the 4 pillars, please post below in the comments.